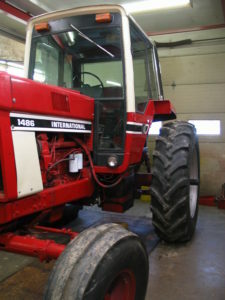 This 1978 International 1486, serial number 15393, tractor came to us from Elmsford, New York. 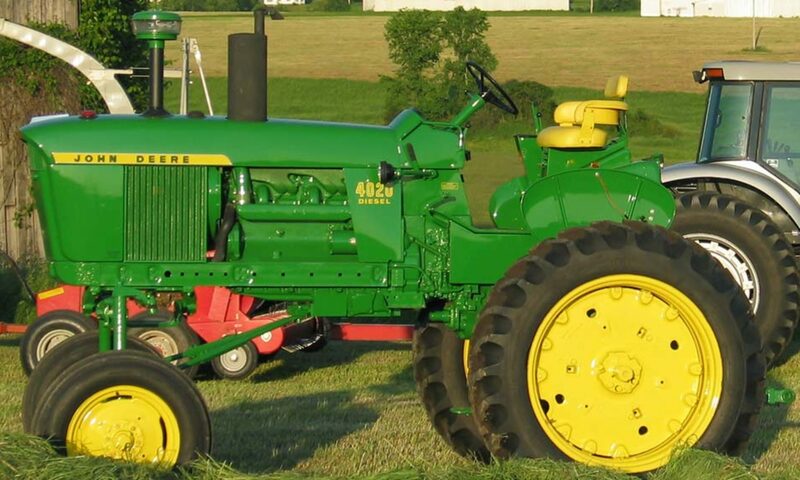 We have restored two tractors for him, an International 686 and a 1086. Someone had attempted to install a TA Elimination Kit. 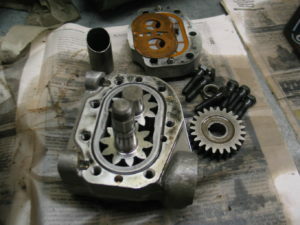 A TA elimination kit is installed converting them to gear driven to eliminate costly repairs that are associated with the TA. 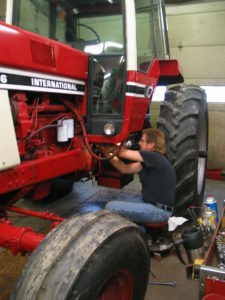 During installation, whoever worked on this tractor failed to install the three plugs needed to stop the oil flow that had previously flowed to the TA. 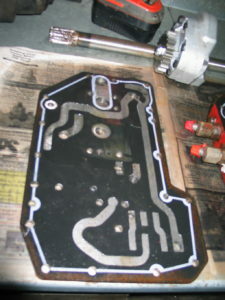 Some of these holes were not plugged, the oil ripped through the non TA gasket and lost oil pressure. 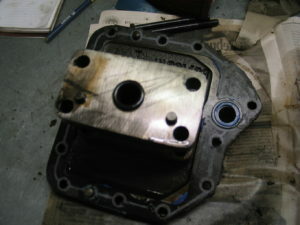 We tapped the holes and installed plugs and the correct gasket. 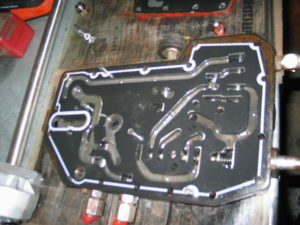 Here we show the MCV (Multi Control Valve) body with two valves. 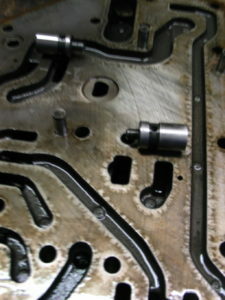 The valve on the upper left hand side is the bypass valve and the valve on the lower right side is the flow control valve. These two valves had been switched in location and are similar in size, but are not the same size. 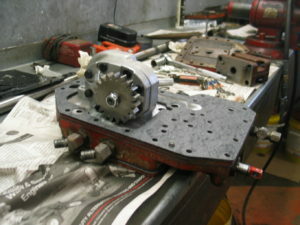 This is the hydraulic pump. It is in good condition. 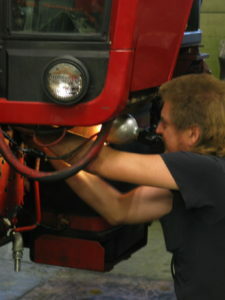 The o-ring on the pickup tube in the differential housing was replaced, along with the safety relief valve. This is the MCV cover. It was inspected and we found nothing to be wrong with it. 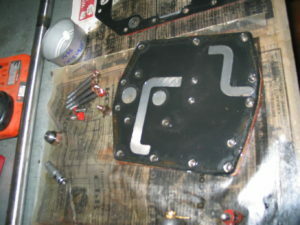 All the valves and new gaskets are installed into the MCV, along with the steering pump, and are ready for installation into the tractor. 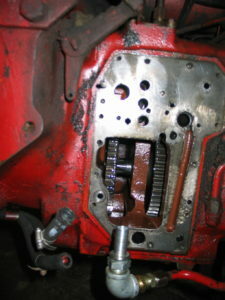 The steering pump was inspected and was found to be in new condition. Some other issues that were repaired was a broken park lock, and the PTO oil pickup screen was plugged, and the PTO was not operational. If you are having similar issues with your repair, please feel free to contact us.